Ananke is in many ways Earth-like, the sun is a similar brightness, the planet is a similar distance from it, and gravity is much the same. But in other ways it is very different, ammonia is far more common than water here and the climate consistently cold. However, human explorers from Earth could not help but feel nostalgic here, as the backboned animals of Anankhe possess four muscular legs, and indeed converge on Earth animals in many ways. The atmosphere here is mostly composed of hydrogen, being poor in other kinds of gases, most life-forms here respire using hydrogen. The efficiency of the breathing of Anankean vertebrates is paradoxical, and it is not completely known how they maintain high energy levels from their theoretically less reactive respiration. Anankean biochemistry is very different from Earth; life originated here based on ammonia, far more common on this planet than water. The blood and sap used to carry nutrients and dissolved gases, the structural components like stems, claws and bones, are all formed from Ammonia-based substances. The plants here are green like on Earth, and at first resemble succulents and cacti in shape, but have a rubbery or leathery outer skin. Ground cover resembles fine samphires and tiny aloes, some tree-like plants resemble turgid saguaros and prickly pear (with and without thorns), but of course many Anankean plant shapes resemble nothing found on Earth. Gelatinous sap courses through peristaltic tubular innards. Many of the plants here can be seen pulsing and quivering, contracting or swelling, as they possess an anatomy that allows them to move, much more noticeably than earth plants. Most only use this rudimentary musculature to face the sun better or to pump their sap, but some are able to shy away in response to herbivores, or even push defensively towards browsers, thorns bared. Anankean vertebrates resemble Earth tetrapods in some ways, having four legs and snapping beak-like jaws, but in other ways they are quite different. Despite living on a cold planet, their ammonia biochemistry means they do not feel the cold like we would there. They do however have forms of insulation, and their own version of warm-blooded endothermy, where chilled blood is recirculated past the warmer blood of the body core and active muscles, in a similar way to a shark or tuna. Insulation against the worst cold is provided by tiny bubble-shaped pockets of air studded under the skin in a dense layer. Eyes are analogous to the compound eyes found in Earth arthropods, and their sense of smell is very keen, because their 4 lungs are lined with chemoreceptors to taste the air they breathe. Their bones are fairly dense like most mammals, and anchor powerful muscles, but each pair of limbs has its own hip, not just the hind legs. Most vertebrates reproduce by laying rubbery-shelled eggs which contain well-developed young. Anankean animals are mute, but are able to hear using a broad, tympanum-like membrane in the roof of the mouth, during feeding most herbivores will pause periodically to listen for danger, mouth agape. Bodies of liquid ammonia play host to the primitive fish-like, bony ancestors of the land-dwelling vertebrates. Most invertebrates here are segmented and wormlike, burrowing in the soil or chewing through the insides of plants, some are plated with hard cuticles, others are soft-skinned. Some have developed pseudopodia and become caterpillar-eque crawlers, commonly eaten by small vertebrates. As with all other life here, they are ammonia based. Ananke was named by its human colonists after the classical Greek spirit of inevitability, for earthlings only thought it inevitable to eventually find creatures with 4 legs, like them. 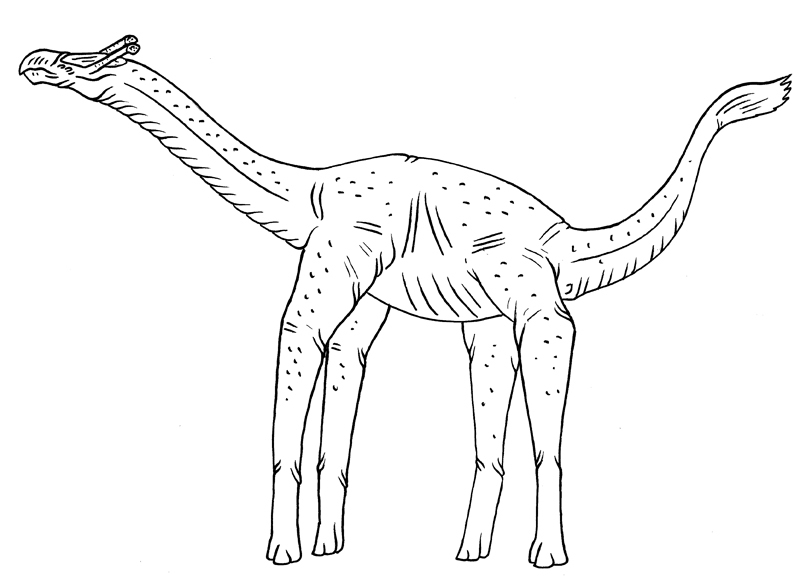 The 6 meter tall xenoraffe became the favourite of Earth colonists almost right away; this tall, green-spotted high-browser put many in mind of a cartoon giraffe. A lanky creature, it feeds mainly on the uppermost branches and fruiting bodies of the succulent-like vascular plants that make up the open forests around the temperate equator. It will bite off large clumps of growth with its cropping beak, but also has a sucking tubular tongue that allow it to extract gelatinous plant juices when it bites open a larger stem or bough. A trail of bitten off and deflated treetops is a sure sign a xenoraffe is about. At 30 centimeters long, these animals are comparable in size and ecology to a brown rat on Earth. They feed mainly by gnawing off portions of the tough rubbery bark or stems of larger plants, as well as their reproductive spore-pods that fall to the ground. Some spores will make it through its digestion unscathed and be passed as faeces to grow anew; after all it’s only the tough nutritious husk and flesh that the xenorat is hungry for. Xenorats will also eat small invertebrates and the eggs of other vertebrates. All kinds of xenorat have keen vision, but the crab-eyed kind possesses the best vision of all, able to swivel the eyes to scan for danger. At 8 meters long, the ketos is another creature which strongly recalls creatures from Earth, in this case, from the Mesozoic. Ketos share a similar shape to some of the marine reptiles of the dinosaur age, and may have a broadly similar lifestyle. Living mainly in shallow, productive oceans around the temperate equator, they feed entirely on other marine vertebrates, from “fish” to each other. Ketos produce a single large egg that hatches internally to produce a well-developed “pup”. Leatherbirds are a common flying creature throughout most Anankean continents, being omnivorous opportunists much like ravens. Indeed, leatherbirds show a keen intelligence that is higher than any other alien species, just like the canny raven of Earth. They have “leather” in their name because their bare skin is usually a dark brown or black, to absorb and conserve heat in the cold air, so high is their metabolism. As with most alien “birds” their leg configuration is not as efficient as Earth birds, and they prefer to roost in trees. At 3.5 meters long, this creature is one of Ananke’s apex predators, rivalled only by some heavy southern Xeno-bears. Inhabiting areas from the equator northward, helmet-panthers are adept leapers, but are not long distance pursuers, so most often they ambush their prey. The fiercely serrated beak-like jaws are perfect for tearing large chunks from vital areas of their prey. Laying one or 2 large eggs at a time, they exhibit a high degree of parental care, regurgitating food for their cubs.